Our son's muffler is a holy relic. 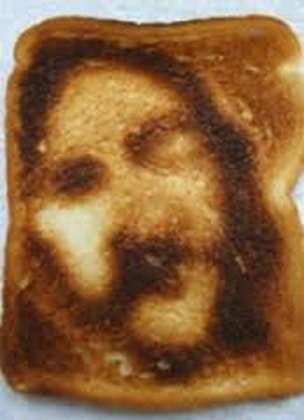 Of course you've seen the miracles where the face of Jesus shows up on a piece of toast, right? I'm sure numerous miracles have been associated with that holy relic, and while we can't top an image of the Lord the Beck family can come close. Last week we took Brenden's truck in to get the muffler fixed. It had a rust hole. And guess what the hole looked like? Not Jesus, exactly, but still pretty miraculous. In a happy, smiley face sort of way.